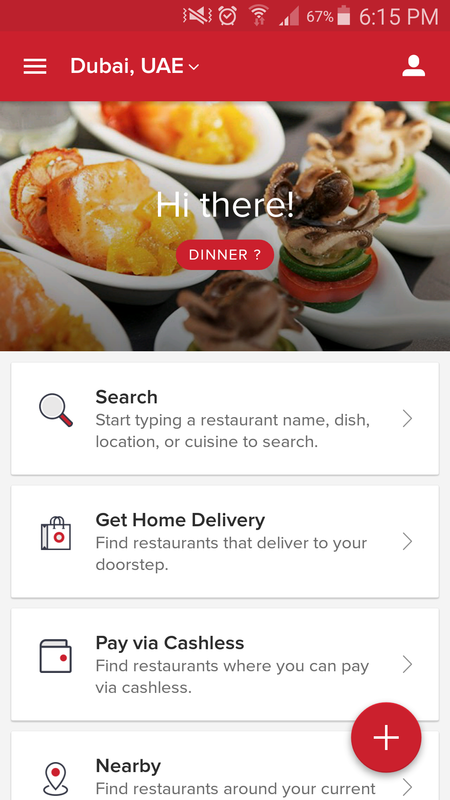 Founded in India in 2008, and subsequently launching in the UAE in 2012, Zomato, the restaurant discovery platform now present in 22 countries, is keen for more. 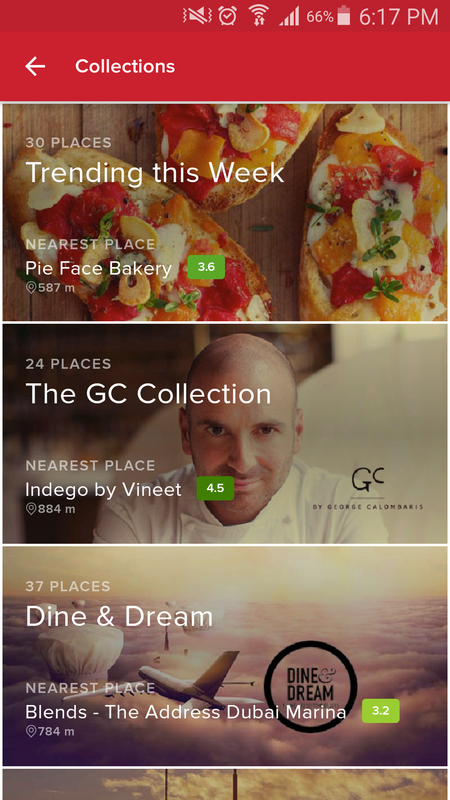 Offering online and mobile service with user-submitted reviews and ratings, menus and photos, the platform recently raised a substantial US$60 million in a recent round of funding. The funds were raised in September, led by Singapore investment company Temasek with participation from existing investor Vy Capital. With a total of eight rounds of funding throughout the years, including previous investors Info Edge, Sequoia India and Vy Capital, Zomato’s latest round clocks in at a total of $225 million. Zomato UAE Country Manager and Middle East and Africa Regional Director, Heino Gehle, says that the investment will be devoted to growing the business’ verticals: “We easily have 24 months of runway with the latest round of funding.” Gehle, whose background ranges from marketing and advertising, to business development and operations, handles the MENA region’s operations. The recent investment round coincides with the launch of Zomato’s new feature called Zomato Whitelabel, which is a platform for businesses to create and manage their own iOS and Android apps- even with little to no technical skills. After realizing that many F&B ventures lack a digital presence (or the technical in-house team to execute digital assets), Zomato’s team developed Whitelabel with features such as targeted push notifications, analytics and menu management to keep consumers informed. From a consumer’s view, it’s a convenient way to know more about an F&B outlet, while from a merchant’s perspective, it’s a strong brand-awareness tool. Whitelabel apps will work on a subscription based model of $200 per month per location, as well as a levying a service fee per transaction. 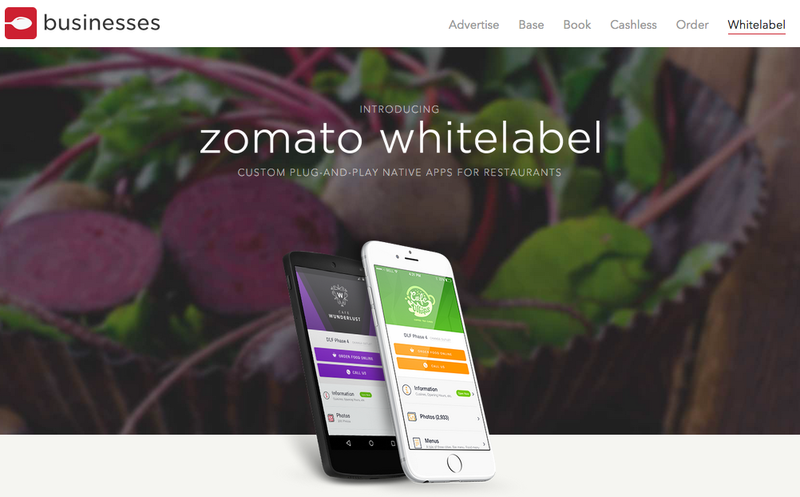 Besides Whitelabel, Zomato has four other revenue streams. The first is via hyperlocal advertising with differing rates per area and category, and Zomato for Business generates revenue by allowing businesses to pay a subscription fee to get placement on Zomato’s listings, in addition to sharing deals, special menus, promos and events. Another revenue stream is through Zomato Cashless payments in Dubai for diners to eat and pay without a physical bill and settle it later with a card, and through the Online Ordering service present in 14 cities including UAE and India. 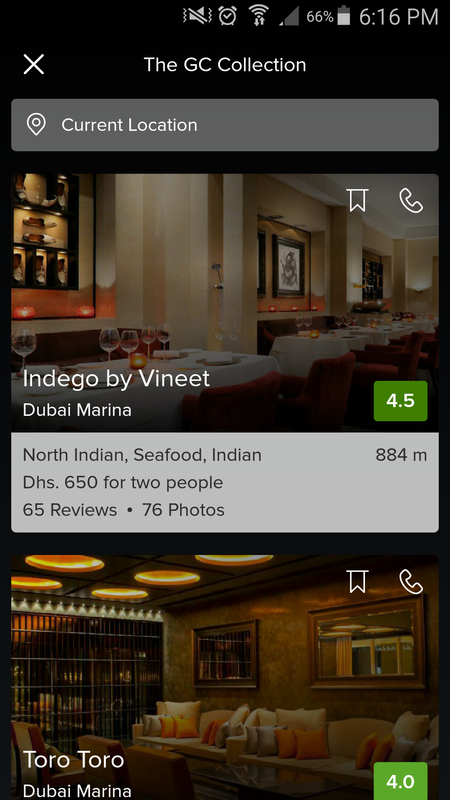 Zomato charges these outlets a commission to facilitate user transactions. As a platform present in multiple countries, Gehle says that while Zomato’s core is similar across countries, the product is localized and adapts to each market by adding features based on user search behavior. Gehle cites the example of how in Dubai, Zomato features restaurants serving shisha, while in London, it highlights hotel rooftops. In markets like Turkey, Indonesia, Chile, Portugal, Brazil, Czech Republic, Slovakia, Poland and Italy, Zomato is available in the local language of prevalence. Differences in markets also triggered the team to build certain features: in Europe, since establishments often post daily menus outside of venues, they can use Zomato for Business to upload their daily new menus and regular ongoing menus. Similarly, Cashless payments was rolled out in Dubai first, compared to other cities where credit card payments were less prevalent, and there was yet to be a two-step authentication process, making it a good market to pilot Zomato Cashless. The product is definitely a F&B game-changer, and how it’s tweaked to cater to the needs of each market is what matters. “If you build a product that people find value in, they will come back to use it,” says Gehle. 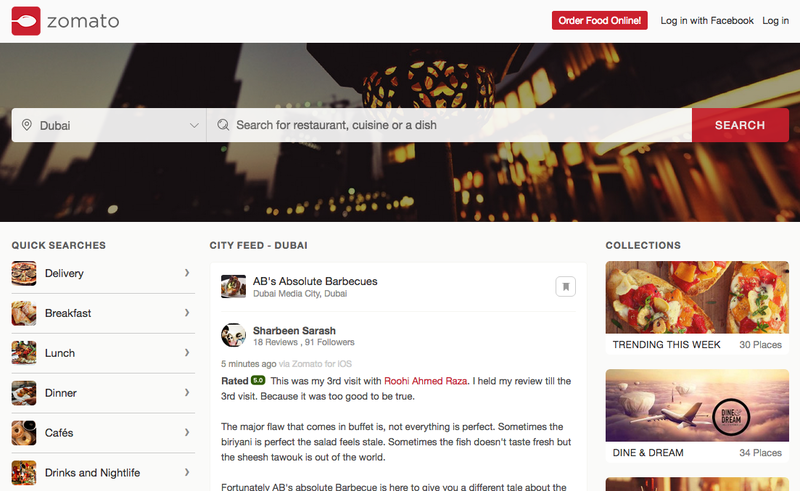 How has Zomato evolved in the Middle East? Other than the UAE, the site also covers Qatar and Lebanon, with 350,000 monthly visits on all platforms and over 70% traffic originating from mobile devices in Lebanon. On the product side, it has grown from a platform to discover restaurants, to allowing users to place orders online, book a ride and even pay using the Cashless feature on the app. With more than 250 team members in the UAE, and another 200 to be hired in the Middle East over the next few months, Gehle regards the UAE as one of their most profitable markets. CONVERTING USERS TO LOYAL COMMUNITY MEMBERS “Identifying one’s customers’ needs and adapting offerings to suit each of their needs has always been our main focus. Customer satisfaction correlates to customer loyalty. A strong social media presence and active interaction and engagement with users and restauranteurs over the years has helped us achieve customer loyalty and brand recall. MARKETING METHODS “Listening to users is always helpful because if they find a product useful, they spread the word among their friends and social circles. Though our medium is primarily online, our marketing is a mix of both online and offline. Our online marketing encompasses search engine marketing, and our social media channels are a great way for us to connect with our users. As for offline, we tie up with restaurants for below the line (BTL) advertising, especially in new markets. We also engage proactively with our community of foodies through meetups in all our markets in order to connect with users in an offline setting. “When you start building something for the right reasons, you have identified a gap that you want to bridge or have figured an even more efficient way of doing something that already exists. If you can do this with focus and build a good team around your idea that shares your vision, that’s half the battle won. I think it’s important to jump and learn to swim when it comes to international market entry. One of the things that worked very well for us is that we have built an incredible team; our people are extremely passionate about the product and believe in what we’re building. It’s also important to have a strong foundation in place as well as adapt to local needs and preferences."